Helen R. Quinn is Professor Emerita of Particle Physics and Astrophysics at SLAC National Accelerator Laboratory. She received her Ph.D in physics at Stanford in 1967. She has taught physics at both Harvard and Stanford. Dr. Quinn work as a particle physicist has been honored by the Dirac Medal (from the International Center for Theoretical Physics, Italy) and the Klein Medal (from The Swedish National Academy of Sciences and Stockholm University) as well as the Sakurai Prize (from the American Physical Society), the Compton medal (from the American Institute of Physics, awarded once every 4 years) and the 2018 Benjamin Franklin Medal for Physics (from the Franklin Institute). She is a member of the American Academy of Arts and Sciences, the National Academy of Science and the American Philosophical Society. She is a Fellow and former president of the American Physical Society. She is originally from Australia and is an Honorary Officer of the Order of Australia. Dr. Quinn has been active in science education for some years, and since her retirement in 2010 this has been her major activity. 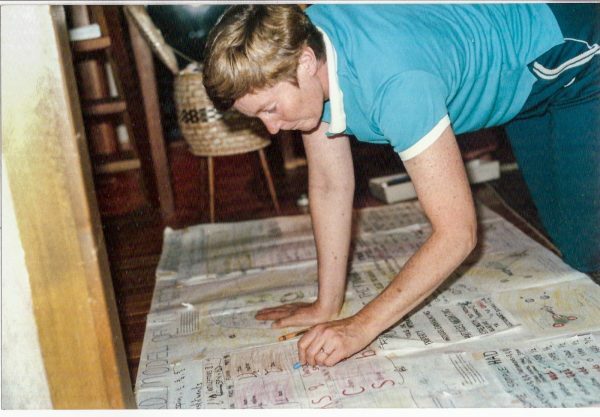 She was a founding member of the Contemporary Physics Education Project (CPEP) which produced a well-known standard-model poster for schools in 1987 (see photo). She served as Chair of the US National Academy of Sciences Board on Science Education (BOSE) from 2009-2014. She was as a member of the BOSE study committee that developed the report “Taking Science to School” and chaired the committee for the “Framework for K-12 Science Education”, which is the basis of the Next Generation Science Standards (NGSS) and similar standards now adopted by about 30 states in the US, and has been influential internationally as well. She also contributed to follow-up NRC studies on assessment and implementation of NGSS. From 2015-2018 Helen served at the request of the President of Ecuador as a member of the “Comision Gestora” to help plan and guide the initial development of the National University of Education of Ecuador.